Fresh tracks, no lines and no traffic are just a few of the reasons skiers and riders want to venture into the back country. For those who enjoy a human-powered experience and the ability to explore the mountains on his or her own terms, back-country skiing and riding are the ultimate rush. However, once one steps beyond the resort boundaries, skiers and riders take their lives into their own hands. With unpredictable snow conditions, no trail maps and no guarantee of a quick rescue should something go wrong, skiing in the back country can quickly become a dangerous endeavor. It is each skier’s and rider’s responsibility to educate themselves on how to avoid risks. 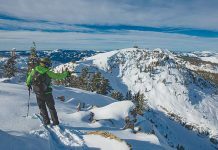 Many resorts and companies in Tahoe have created programs where skiers and riders can learn how to navigate the back country with experienced teachers and guides. If the back country has you dreaming of fresh tracks, check out one of these programs to get you started. With a long-standing uphill travel policy and open boundary, Sugar Bowl has allowed skiers and riders to skin up the resort runs and explore the terrain just outside of its boundary. However, with an increased number of people wanting to explore outside the resort, it became obvious that an educational program would be beneficial for the resort and its customers. Sugar Bowl teamed up with Alpine Skills International to offer classes and guided trips into the back country from the base on the resort. 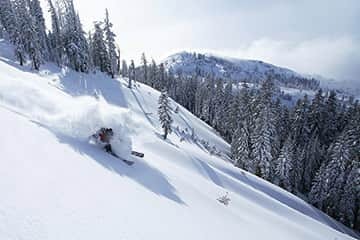 Get a taste for the adventure with one of several guided tours including one-day trips outside of Sugar Bowl or along Anderson Ridge, or overnight adventures to Lost Trail Lodge or Squaw Valley. 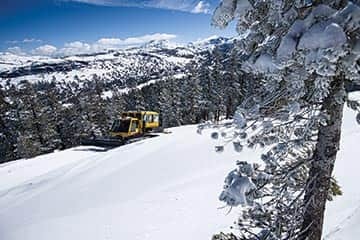 Debuting this season, Homewood Mountain Resort will offer guided tours as weather conditions permit on more than 750 acres on the flanks of Ellis Peak. 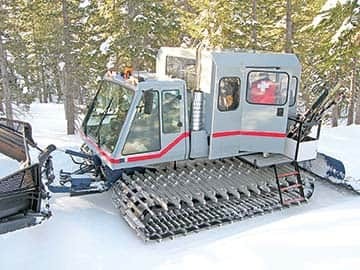 Groups of up to 10 people will ride in the resort’s new Bombardier snowcat to steep glades, perfectly spaced trees and intermediate glades in pristine powder. All-day packages are lead by experienced guides from the North American Ski Training Center. 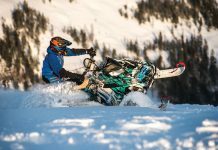 Take the human powered part out of the equation and catch a ride with Pacific Crest Snowcats and Heli Guides. 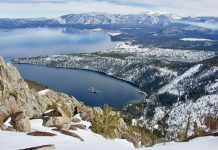 Enjoy 1,000-vertical-foot runs in more than 3,000 acres of gladed terrain in some of the most untouched snow in Tahoe. Guided and unguided trips are available with tours catered to each group’s ability and needs. With plenty of adrenaline-pumping terrain in bounds, it’s hard to see why anyone would need to leave the resort boundary. 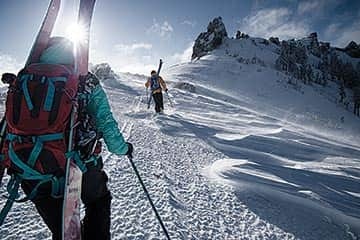 However, Expedition: Kirkwood provides the perfect progression for the intermediate skier looking to take his or her skiing to the next level. The Discovery Series is a three-day program that puts skiers and riders in a small group with experienced coaches who will teach the techniques needed to navigate Kirkwood’s signature chutes, steep cornices and huge bowls. For those who are comfortable in expert or advanced terrain, Expedition: Kirkwood offers cat skiing at Marten Point. Avalanche beacons, probes and backpacks are provided. Groups of four enjoy the freshest turns during four-run sessions following big storms. 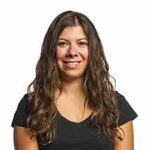 Jenn is a freelance writer using words, photos and digital media to connect people to the outdoors.